This article is intended for customers who want to send attribution data to deltaDNA. 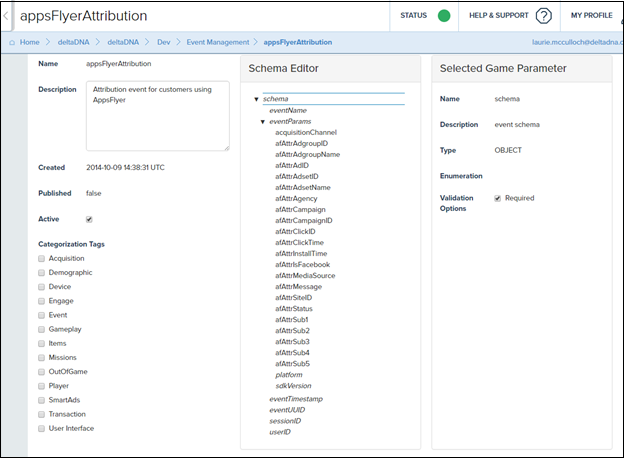 The deltaDNA SDK userID, whether auto-generated or provided by the game, must be set as the customer user id in the AppsFlyer SDK to ensure the attribution data received from AppsFlyer is applied to the correct user. This must only be done on builds of the game integrated against the LIVE environment on the deltaDNA side. If you are using a propriety user id and populating this id both in AppsFlyer custom_user_id parameter and in deltaDNA user parameter – No additional code implementation is needed. If you are not using a propriety user id, you must your take userID property from deltaDNA and implement in the AppsFlyer SDK under the customer_user_id parameter. The following code should be implemented after both SDKs are initiated. DeltaDNA rejects install postbacks from AppsFlyer if there is no Customer User ID or UserID defined. 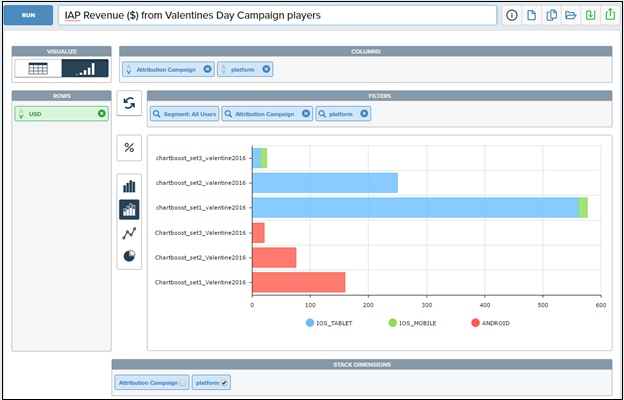 Create custom player segments to target players with personalized campaigns and offers. The Acquisition Channel filter at the top of all the Measure charts, the retention Matrices, LTV and Retention Predictors uses and is based on the AppsFlyer Media Source. 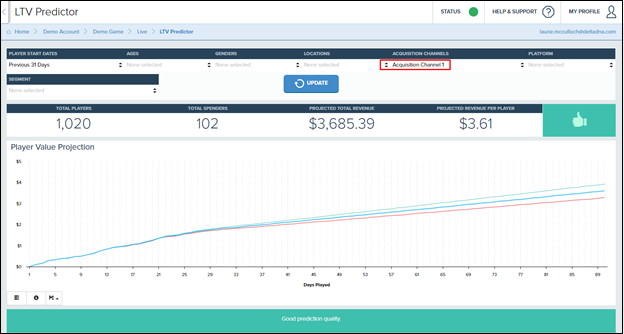 There are 8 attribution parameters that AppsFlyer can send to deltaDNA for use in your analysis, reports and queries. They are all prefixed by the with the letters afAttr. E.g. afAttrCampaign, afAttrAgency, afAttrMediaSource for the campaign, agency and media source respectively. 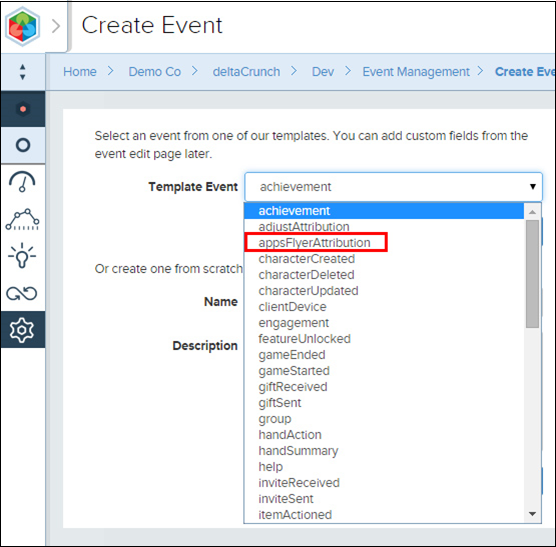 All attribution parameters are listed within the appsFlyerAttribution added to your Event Management screen. Use them to build custom analysis queries and reports in any of the deltaDNA Analyze tools.